CH. Alaman's Stand By Me, AKC Reg. 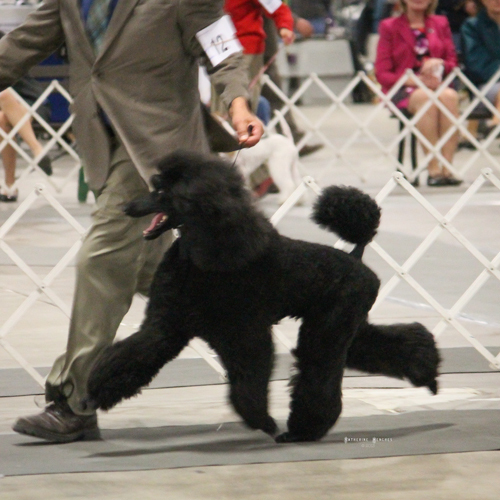 # PR17305701, Black, Raquel came back to us from Alan Waterman, her co owner and breeder, after being chosen as pick puppy and completing her show career from one of Juicys last litters. She carries the wonderful temperament and beauty of both of her parents, Juicy and Jordan. We were thrilled to have her offered back to continue our black lines. Raquel has health clearances done for hip, eye, NE, and is vWD clear. CH. Boxwood Juicy Couture, Reg # PR11886801, Black, Juicy came to us a bit later than in puppyhood from Alan Waterman and Christine Nethery. 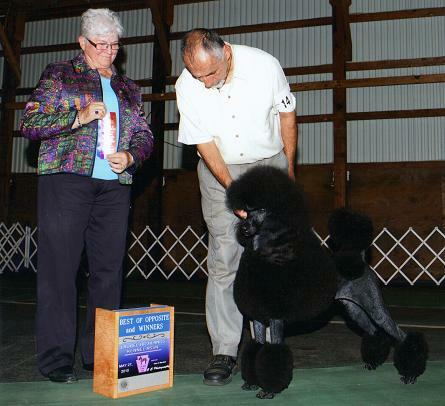 She has been a key to adding black to our breeding program. 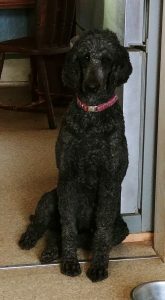 She is a very sweet girl that has continued to add the quality and temperament to our program. Her daughter, Raquel, carries her lines through. Juicy has health clearances done for hip, eye and is vWD clear through parentage. Juicy is now retired and living her life out on our farm enjoying life to the max. Her favorite activity is going to the barn getting full of cobwebs and rolling in the straw. She also employs herself as chief calf monitor. GR CH. LCM I’m All About That Base, CGC, “Raggs” and CH. Alaman’s Stand By Me, “Raquel “ have a Litter, born Nov 26, 2018. We have a few availabile puppies from this litter. Please contact us for more information.